Lockport gasoline averages dropped by four cents this week to $2.679 per gallon this week, according to AAA East Central’s weekly Gas Price Report. After five weeks of straight gasoline inventory drops, the U.S. Energy Information Administration (EIA) reports a 2.4 million barrel build in the Mid-Atlantic and Northeast region. The increase brings levels to nearly 56 million barrels, which is just 400,000 fewer than this this time last year. At $2.55, the national gas price average is just two cents cheaper on the week and the most expensive pump price seen at start of October since 2015, when motorists where paying $2.29 for a gallon of unleaded. This can be attributed to the back-to-back hurricanes that affected the Gulf Coast refineries’ production and national inventory levels. As those refineries play catch-up, AAA projects gas prices will continue to remain higher than normal before dropping in the coming weeks. Today, Gulf Coast refineries are building toward resuming normal operations, but it could take some longer than others to return to pre-hurricane production rates. The EIA reports that Gulf Coast utilization rates are up nearly 12 percent to 85 percent of capacity since last week. As utilization rates increase and operations improve, gas prices will drop. Across the country, the majority of states saw prices at the pump drop as much as eight cents on the week – with Mid-Atlantic and Northeast states benefiting the most. While five Great Lakes and Central States are paying up to 11 cents more for gas. 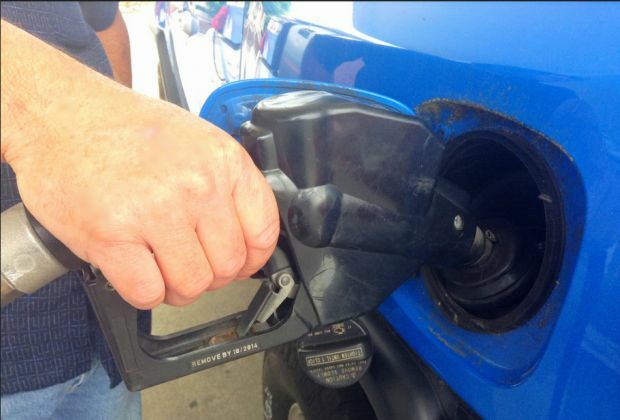 Today, motorists can find gas for $2.50 or less at 56 percent of gas stations in the country.